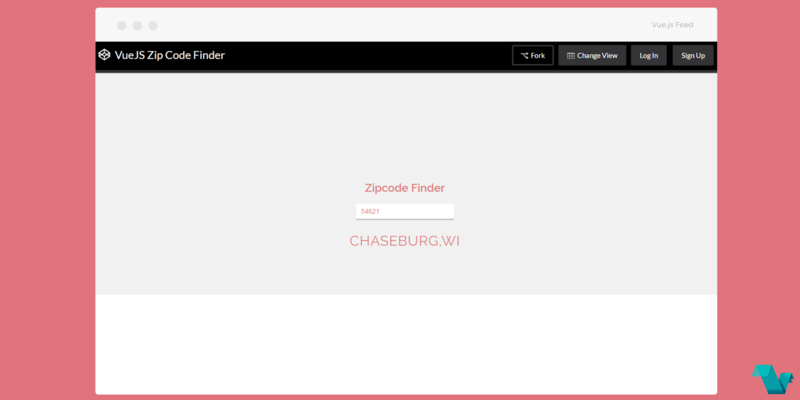 Take a look at this pretty Zip Code Finder app made with Vue.js. The user gives an input, any Zip Code of a US city (the API used by the author only shows US cities and their zip codes, unfortunately), and it finds & returns the city and the state with the same code. If a wrong code is entered a message is displayed: "hey, that's not a zipcode", and if the code is not found "zip code not found". Open the editor view to observe the code and practice your skills on Vue.js.